We are family owned and operated by twelfth generation Nantucketers. Call us for all of your construction needs. Barrett Enterprises is a Nantucket family owned and operated business. We provide an extensive number of services for small to large construction projects. Our fleet of trucks, trailers, and equipment are sure to meet all of your construction needs. We can dig your foundations, septic systems, utility trenches, and sono tube installations. We do foundation waterproofing, sewer & water connections, horizontal boring, backfilling, septic installs & repairs. From tree removal, brush cutting, stripping topsoil, grading, and driveway installs; we have the tools to take care of all your site work needs. We offer NUDURA ICFs (Insulated Concrete Forms). These forms offer the homeowner time and cost savings. They add energy efficiency and are environmentally friendly. Thermal Study Proves ICF wall can achieve up to 60% Energy Savings! Our equipment is specific to the narrow roads of Nantucket. We have a remote controlled power unit to not only aid in the lifting of the structure, but also the ease of maneuvering tight corners without the need for a truck. We do both onsite, and over the road moves; as well as building lifts for new foundations. Whether you need to install a new, repair an old, or add onto an existing septic system; we have the equipment to get the job done. We use our trucks to pour foundation walls, window wells, sono tubes, slabs, piers, or pads. For those hard to reach areas, we have our pump truck to aid in pouring the concrete in its place. We can mix what is required right on site. We are proud to live and work on Nantucket. That pride will come through in our work. Our priority is to deliver above expectations and to be sure the customer always receives quality work. We have a highly trusted team of dedicated employees. Our customers can rely 100% on the end result of their projects. Whether it be a simple, or complex job. We are fully insured and licensed. We are fortunate to be a Nantucket born and raised family. A family owned and operated company. When you hire us, that is who you get working hard for you. 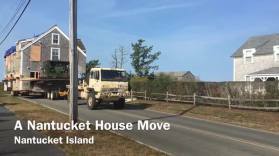 We do not subcontract, the owners are always on the job right along with our team of Nantucket residents. Barrett Enterprises has a fleet of trucks and trailers sure to meet any of your trucking needs. We have many years experience hauling loads of different types, materials and sizes to and from the island.